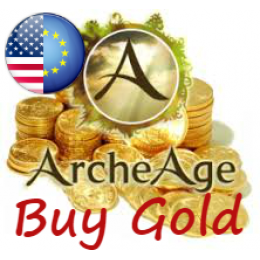 ArcheAge is a Korean new generation MMORPG, which began his way in 2014. 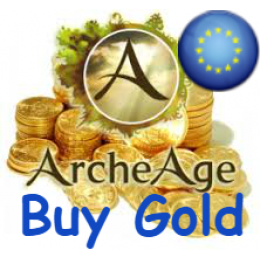 Buying Gold on European server ArcheAge: “Anthalon, Dahuta, Eanna, Kyprosa, Leviatha.. 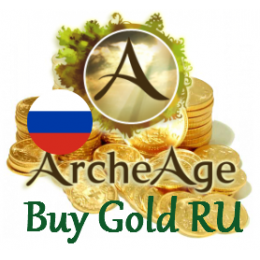 Please fill out the order to buy Gold ArcheAge NA: Aranzeb, Salphira, Ollo, Nazar,&nb..
You've been looking for where to buy Gold ArcheAge: Луций, Кипроза, Невер, Марли, Мелисара, Гарт..
ArcheAge is a Korean new generation MMORPG, which began his way in 2014. It wasproduced by a very modern and famous studio XL Games part of which participated in the development Lineage. And it is felt not only in the elaboration of fine detail graphics which is today considered one of the best, but in the realization of the original features. This game will give you the opportunity to plunge into a very realistic game world and research it, designed with a graphical game engine CryEngine 3. The game takes us to the beautiful and huge fantasy world where you can do what everyone is most like: to carry out tasks, to build houses (including villas and hacienda), ships, depending on their needs, as well as go to dungeons, or just grow flowers or trees, to plant the field and raise cattle archeage review. Also, the game allows you to become a better builder or designer of your own home,ti be engaged in commerce and to open its own retail shops or surf the vastness of the seas on his warship, as well as participate in guild wars. These wars are for the control of the territories that in the game and in real life are the most important and the best source of income. In addition, you can join in thieves or become a murderer and, after serving in the local prison, to join the pirate faction, which has its own island ArcheAge. ArcheAge provides 120 classes that represents combinations of the three branches of the 10 available. In the game you can freely change the branch development, and thereby changing the class. This feature requires only small costs of game currency. All 10 branches can be developed to the maximum level. Different skill sets allow you to create a customized character flexibly to the needs of a particular player. The basis of this game, as befits a classic mmorpg is the confrontation between the two sides - Nuian and Hariharan, each of which was joined by an additional races - elves and Ferre archeage. As a result of the split of the world, each of the parties resides on a separate continent, which in turn are connected to each other with ancient portals named archeage. However, unlike most similar games, players can not just choose one of the fractions present, but in the course of the game to create their own, as well as each person acts in its own way, each server would be unique in the way owl. Such fractions can build their fortresses and cities and even in the future,can to protect it from attack by the warring factions. And even despite the fact that the game has a personal transport (mounts, ships, tanks, gliders) and the public, the opportunity to ride fully executed. At this point in the game there are 23 professions, but developed to the maximum can only be a limited number. 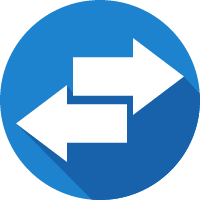 However, the maximum number of trades that can be developed, can be increased by purchasing a print wizard. Characters can create a variety of items, engage in farming and trade, play musical instruments, to engage in fishing and other activities. Since the profession is closely linked, players need to engage in active social interaction in order to achieve mutual benefit. All professions are divided into 3 types: production - production of various raw materials, Craft - processing of raw materials in a variety of items, and then - in the product and Others - a profession not related to the first two types.